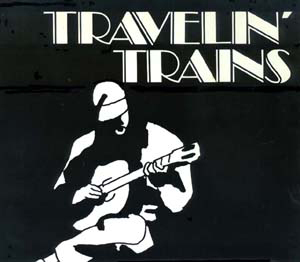 Travelin Trains, a film by Eric Mofford, is the story of Sam Unterman, a young man in search of his father, 'The Snowman,' in depression-era Georgia, and the blues music that united and separated him from his search. The truth to the railroad warning that ''hobo legends ain't the same as book legends,'' becomes painfully clear to young Sam in his journey through the music of a generation living the blues. The film aired nationally on the Arts & Entertainment Network.